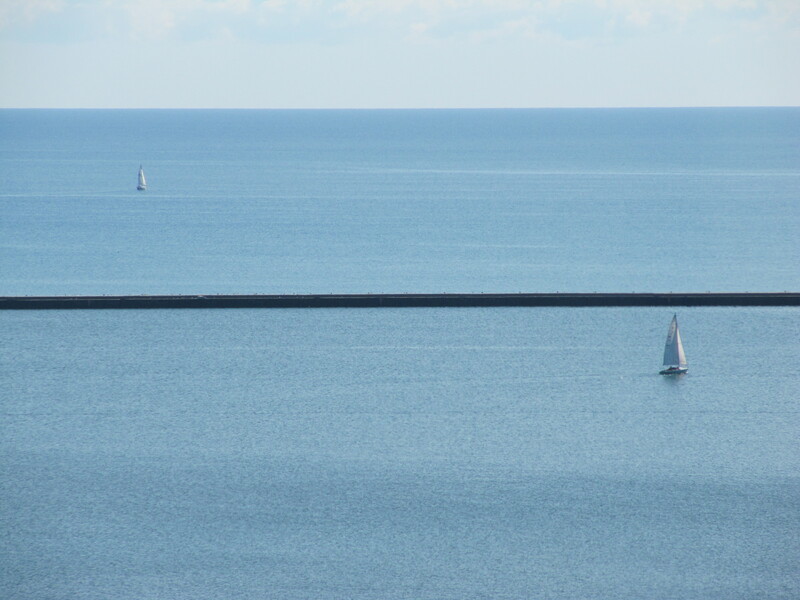 Sailboats, one inside the breakwater and one outside. It is amazing having such a gorgeous lake so close every day. Sometimes, it is easy to forget how amazing it is – and then I get reminded on a sunny day like this. What is it about bodies of water that draw the human eye?